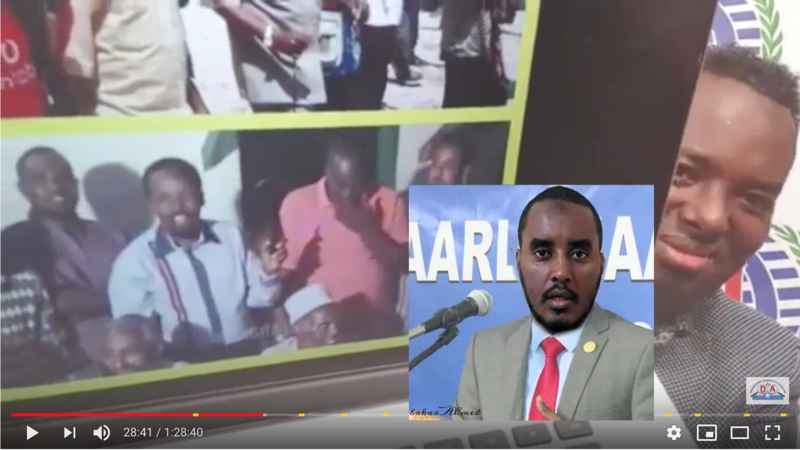 For the last 2 years, the Somali people have been painfully struggling to cope with the shocking reality of leadership failure under President Mohamed Abdullahi Farmajo elected on high hope of him fostering the statebuilding project (not leading established state) of Federal, Democratic Republic founded on the rule of law, free and fair election, democratic values, and free market economy. The forced resignation of former speaker, the confinement of incumbent speaker before fleeing from his residence for accepting the impeachment motion against the president, the dismissal of parliamentary finance committee after reporting massive financial mismanagement, and the shameless rigging of presidential election with the killing and arresting of innocent civilians in Southwest state dissipate hopeful future for Somalia. The vehement attack and persecution of reporters of wrongdoings of the federal government matches the whims of autocratic ruler hell-bent to intimidate and silence the advocates of public integrity, accountability, and rule of law. 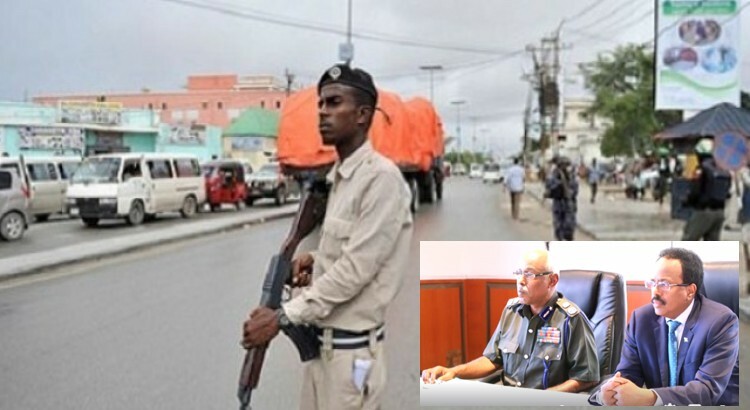 On January 1, 2019, the UN Secretary General (UNSG) António Guterrres and members of the UN Security Council (UNSC) were caught off guard by the press statement of the Federal Government of Somalia (FGS), which declared the newly appointed Special Representative of the Secretary General (SRSG) and Head of UN Mission for Somalia (UNSOM), Nicholas Haysom, "Persona Non Grata (PNG).” For 2 days, the UN officials were repeating that they were waiting formal notification and explanation from Mogadishu. 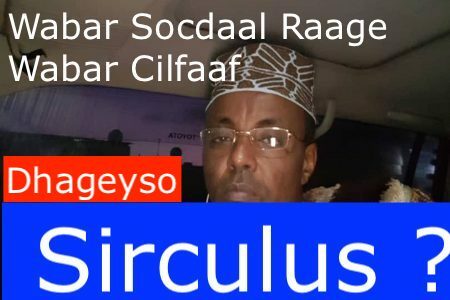 Undoubtedly, President Formajo ordered the expulsion of UN Envoy to deny accountability and justice to Somali victims, and to celebrate the era of kleptocracy rule. There is also a sinister attempt to make the UN a foreign villain hell-bent to destroy the sovereignty and independence of Somalia. Apart the facade mantle of nationalism and pride, two factors precipitated the expulsion decision. 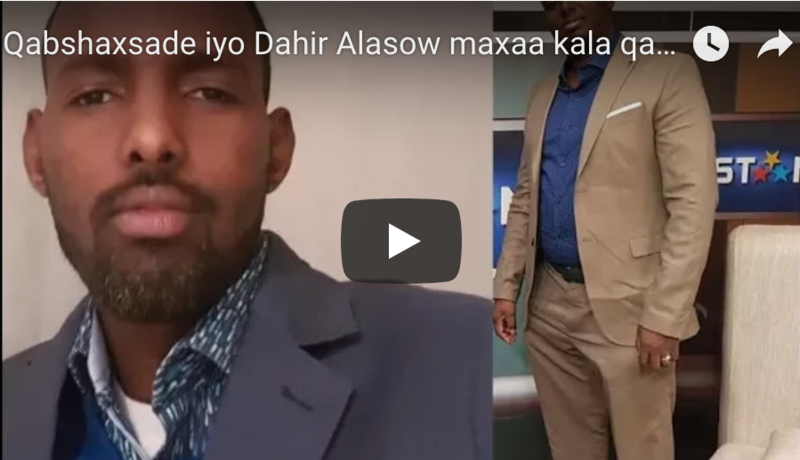 The first fact is the publication of leaked letter dated 30 December 2018, Mr. Haysom sent to the Federal Minister for Internal Security for information and investigation about gross human rights violations allegedly committed by UN supported Federal and State security forces and about the legal procedure for the arrest of Mukhtar Robow, former Al Shabab leader, in Baidoa city, the interim capital of Southwest State. A joint letter of UK, EU, and Germany ambassadors, dated 21 December 2018, notifying the suspension of assistance to joint police program in Southwest state for human rights violations, didn’t provoke their expulsion. The second factor was the presentation of a critical 4 month assessment report on Somalia planned on January 3, 2019 to the UNSC in accordance with Resolution 2408 (2018) defining the support of UN Mission (UNSOM) to the FGS. Somalia is a failed state under chapter VII of the UN Charter. The UNSC authorized the deployment of regional peacekeeping forces (AMISOM) now about 22,000 forces and follows the Somali situation constantly. Thus, the UN provides legitimacy and catalyst for yearly assistance of approximately off-budget $ 1.7 billion and 44% of 2019 fiscal budget of $340 million to Somalia. The assessment report notes that the 6-month-old stalemate between FGS and Federal Member States (FMS), the backlash from the federal government’s manipulations of the presidential electoral process in Southwest State, and general leadership flops not only have jeopardized the peace and state building gains accomplished in the past, but also impeded progress in the milestones of inclusive politics: (a) transparent credible preparation for 2020 free and fair election, (b) completion of constitutional review in 2018, (c) perfection of federal system, and (d) national reconciliation. 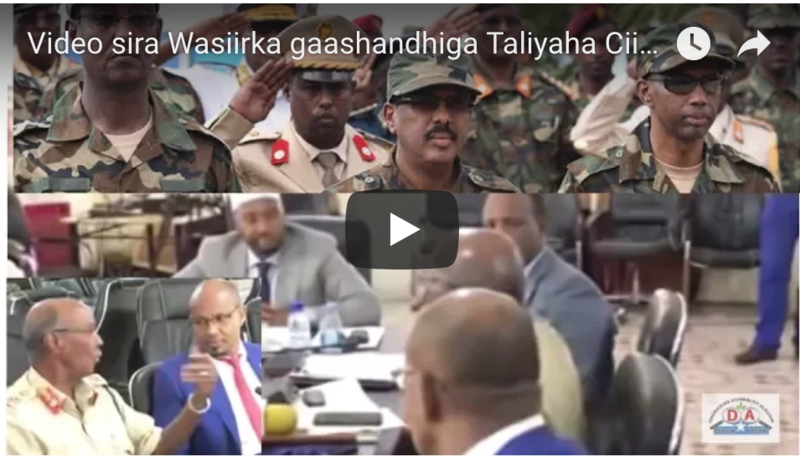 President Farmajo and his Prime Minister ignored the recommendations of the Upper House of the federal parliament for resolving the stalemate. President Farmajo ostracized the Upper House after suspecting collusion between the latter and FMS. By communicating directly with the government institutions for information and actions, the Head of UNSOM Mr. Haysom didn’t infringe on sovereignty nor did breach diplomatic protocol. He was rightly fulfilling his duties in accordance with UNSC Resolution 2408 (2018) . 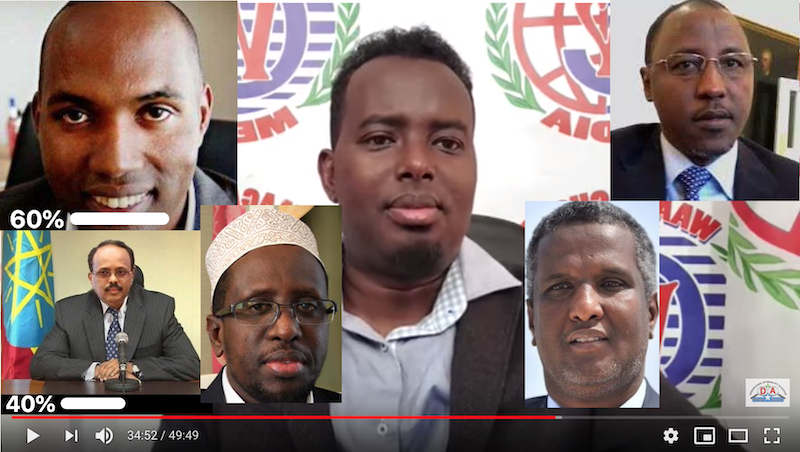 Somali leaders borrow or recite in their public statements the concepts, principles, catchphrases, goals, and objectives explained in the Provisional Constitution, the UNSC resolutions, the international agreements and communiqués for Somalia, but practically they violate all. The Foreign Minister of Somalia, H.E. 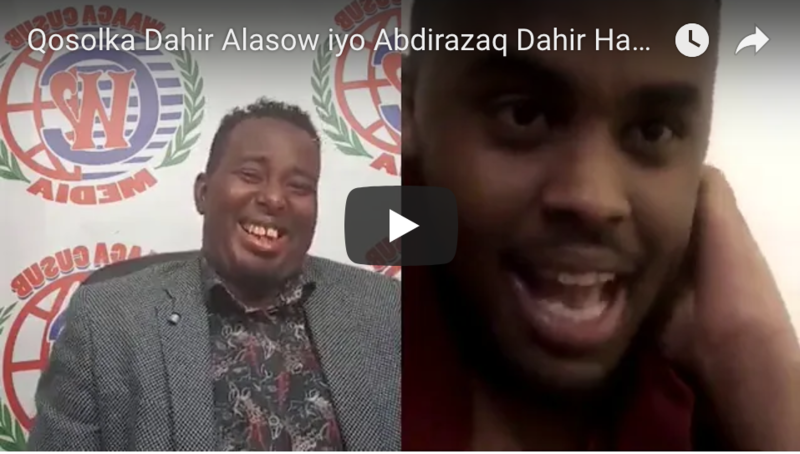 Ahmed conducted back to back interviews with international media to sell the expulsion decision as irreversible. 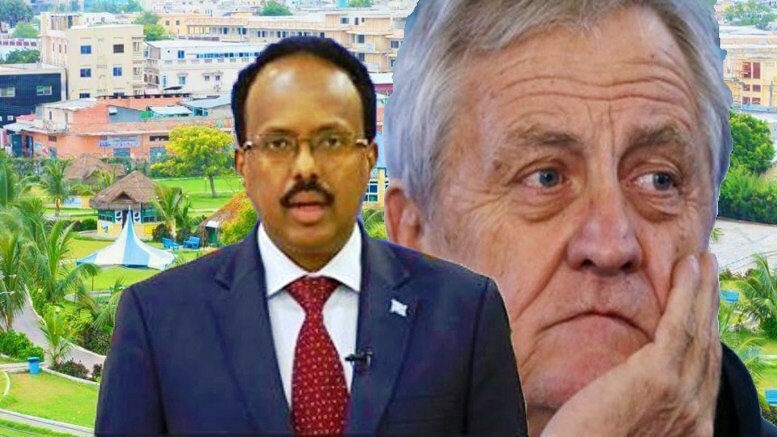 However, the expulsion implied violation of UNSC resolution 2408 (2018) and all principles underpinning the international partnership agreements for rebuilding the Somali State on the collaborative efforts between the Federal government, FMS, and international Partners. As support, on January 5th, the UNSC issued press statement expressing its unanimous regret at the decision of the FGS and full support to UNSOM and Resolution 2408 (2018). It emphasized its expectation of full cooperation between UN and Somalia and among the Somali leaders to advance political and security reforms. However, from his jubilant speeches, President Farmajo is in celebratory mood and not very much concerned about the UNSG and UNSC rage or disbelief. Both chambers of the Federal Parliament ceased to fulfill their legislative, representative and oversight functions. The judiciary system lost independence. The FMS are politically destabilized and financially in crisis because federal government withholds or blocks the financial resources offered by the international donors. The security forces are loyal to FFK and not to the constitution and rule of law. Freedom of expression and assembly are denied for false pretenses. The National Security Council abolished. The International partnership agreement and Security Pacts adopted at London Somalia Conference, May 11, 2017 scrapped. Clan animosities heightened. President Farmajo and his team hold the view that the UN cannot appoint staff to Somalia without prior consultation and consent. In a letter sent to the Chairperson of the UN Sanctions Committee, the FGS rejected the appointment of Jay Bahadur (Canadian) as Coordinator of the UN Panel of Experts on Somalia. In 2018, the Minister of Planning, Investment, and economic development rejected the international partners’ plan to make the assistance to Somaliland region as part of Somalia but separately highlighted. The rejection has forced change of approach in the delivery of international assistance to Somalia. 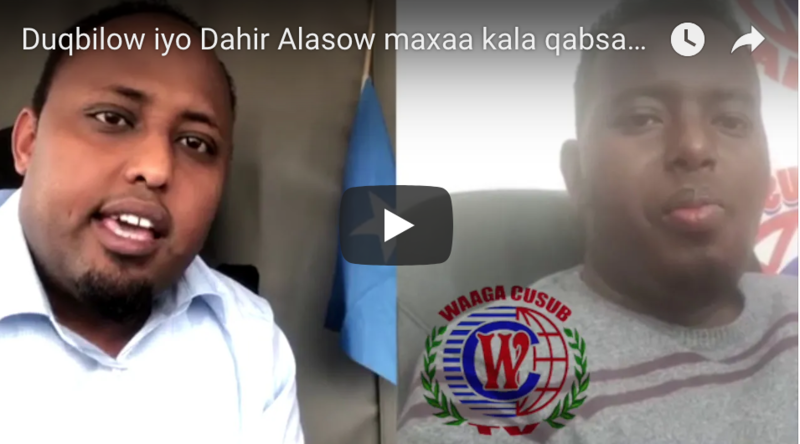 The Somali representative to the UN, Ambassador Abukar Osman, delivers the defiant messages of President Farmajo to the UNSC. In speech of September 2018, Ambassador Abukar asked the UNSC to sanitize the periodic UNSG assessment reports from all statements the Federal government deems inflammatory or critical to it. Probably, that kind of defiance prompted the UNSC to issue detailed 2408 (2018) Resolution that elaborated the roles and mandates of UNSOM and Somali Government for restoring peace, security, governance, economic recovery, and delivery of social services in Somalia. In his speech on January 3, 2019, Ambassador Abukar told loudly to the members of the UNSC "not to interfere in our internal affairs,” and "let the Somalis control their own destiny.” He requested members of UNSC and other donors to align their support and actions to the expectations and wishes of the Somali Government. 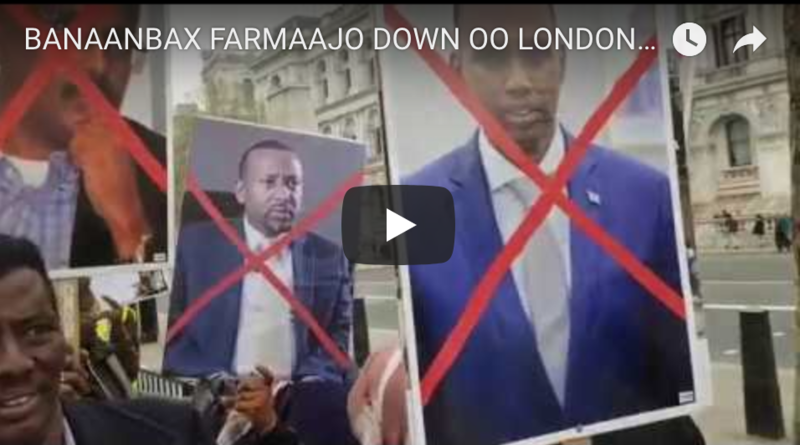 This drives the demagoguery of "political nationalism and foreign bashing” of President Farmajo with the exception of Qatar, Ethiopia, and Eritrea. 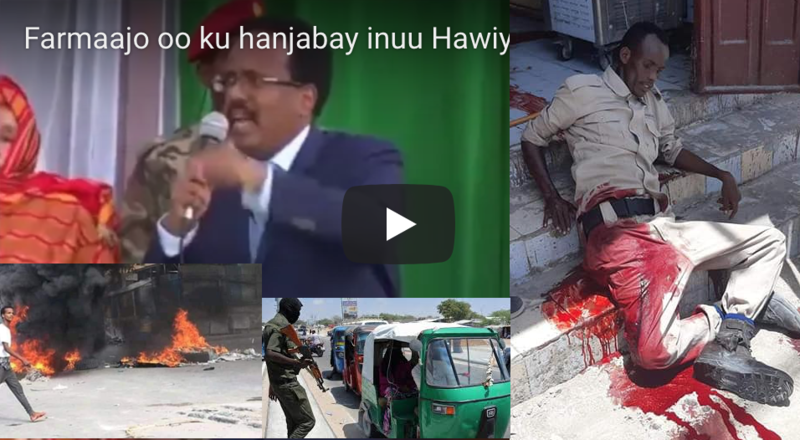 President Farmajo wants either to force his way or to allow disastrous problems drag on. 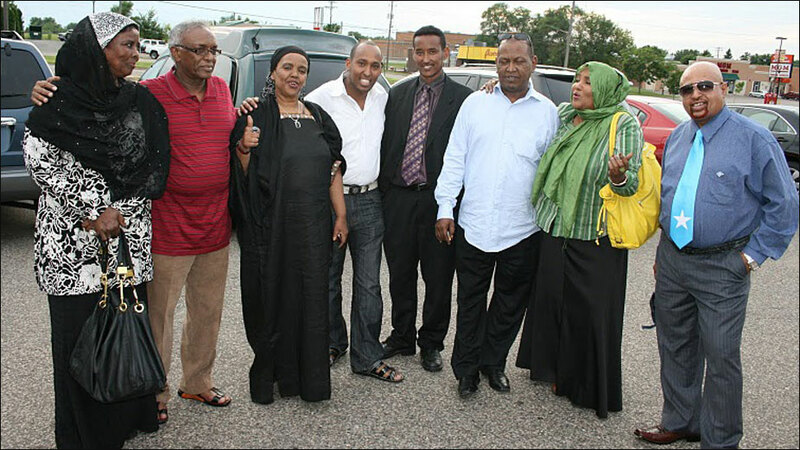 He has no time, will, interest, and tolerance for serious and effective political engagement with tough multiple Somali stakeholders – parliamentarians, FMS, International Partners, Civil society, Traditional leaders, Women Organizations, political leaders, Business Community, Diaspora, secessionists, Journalists, human right activists, and religious leaders - for solving the mounting problems of the country. 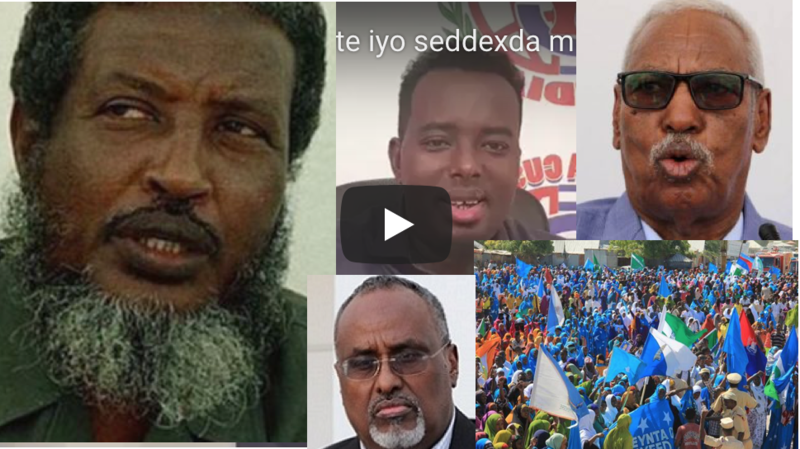 There are no vision and wisdom behind the slogan "we want to solve our problems without foreign interference, support and mediation.” Somalia faces serious crisis requiring joint internal and international attention, cooperation, and actions for quick positive change. The fact remains that Somalia is going nowhere under Autocratic Leadership.